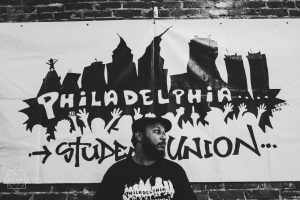 Julien A. Terrell is the current Executive Director for Philadelphia Student Union after serving previously as the Lead Organizer and Trainer. He was born and raised in Harlem where he first developed his passion for social justice. He began organizing on issues of gentrification and environmental justice in Buffalo and NYC, connecting this work to the preservation of cultural and community spaces. Through his early organizing experiences, he developed a deep commitment to fostering creative leadership among young people of color through community and cultural organizing, study of resistance within black and brown communities throughout history and involving youth in local and international movements. He brings over 13 years of experience in organizing, cultural work and youth development with a specific focus making the commitment to liberation relevant and accessible to those he works with. Julien currently lives in Philadelphia with his partner, daughter and son and is committed to guiding PSU’s vision towards providing a political home for the members and staff. His goal is to build PSU as a holistic space for young people to experience what it means to be actively involved in changing themselves and society. Born and raised in Philadelphia, Juanita attended and graduated from the Philadelphia School District. She began her studies in higher education as an education major. However, ultimately, after settling on a degree in Liberal Studies, she began a career working in alternative education. Until mid-2017 Juanita volunteered in Philly public schools and interned at Youth United for Change after noticing the inequity in conditions that existed between the schools where she routinely worked early in her career, the public school experience which shaped her worldview during her high school years, and the current Philly public schools. Juanita currently focuses on supporting members in PSU’s citywide organizing space and developing the organization’s academic support systems. 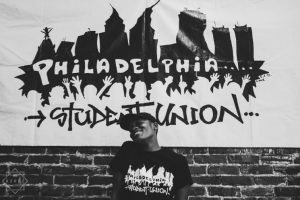 Shania Morris is an alumni of The Philadelphia Student Union and a current organizer and co-facilitator of arts and cultural programming. She graduated from Academy at Palumbo High School in 2014. As a member, she was very involved in radio, newsletter, the Youth Leadership Team (YLT), and Movement Music. All of these were key in her development as an organizer. Shania intends to build the young people’s understanding of organizing by developing their creative interests and ability to use art in their political work. 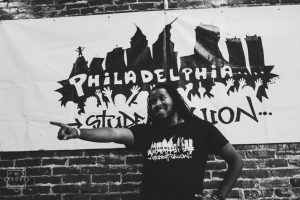 Koby Murphy is a Youth Organizer with the Philadelphia Student Union, an alumni of the Philadelphia Student Union, and a graduate of the Philadelphia School District. As a member of PSU, Koby participated in Movement Music, which was a project that aimed to share students experiences through music. As staff, Koby hopes to support PSU by developing leaders and connecting with young people. 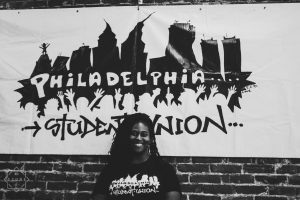 Saudia is an Organizer and Communications/ Media Coordinator for the Philadelphia Student Union. The Temple University graduate became politically acclimated while earning her Journalism degree and taking courses in the African American department. She started getting involved with the student movements on campus as well as being a political activist co-chair on the Black Student Union’s electoral board. While maintaining a full time student school schedule, she also worked at the Philadelphia International Airport as a server, and helped to organize the first unionized contract for food concessions workers in decades. She is committed to using her journalistic skills to develop young people and support them in their transformation as social and political leaders.